BMX is helping shape experiential marketing. You might not think BMX riding has anything to do with crafting up some of the best projects we’ve ever constructed, but Chris Zidek is here to set the record straight. Chris is constantly traveling around the world to pursue his passion outside of work, BMX. All these trips amount to a ton of inspiration for his upcoming projects/work. In fact, Chris just got back from New Orleans. There, Chris slept in BMX fashion….with at a complete stranger. Yes, you read that right. 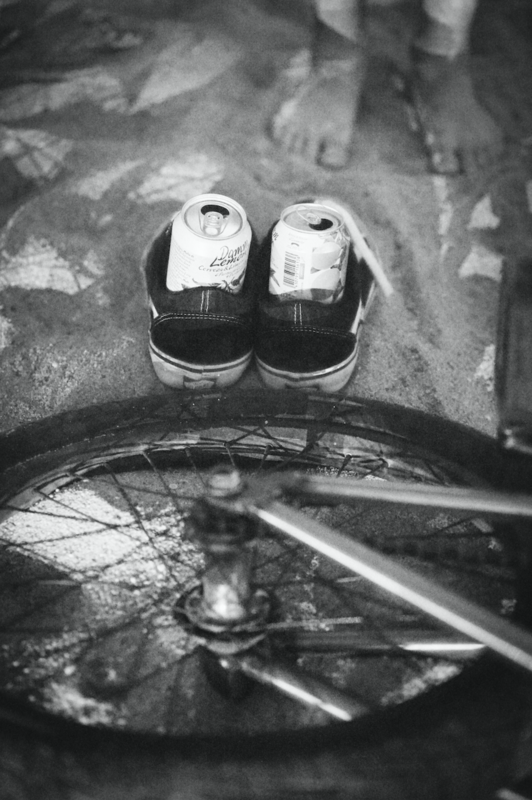 In the BMX community, its common to reach out to other folks within it and stay at their house fo freez. This allows bikers the opportunity to ride all around the world at a fraction of the price (shout out to P-Dolla, in Chris’s case). This is what lead us to our first question with Chris…..
How do think these BMX connections are similar to the ones you make with our clients/brands? On that note, How would you describe the ways building and riding are the same? Finally, How does traveling inspire your work? Chris may not have biked the entire city, but he did bike a good chunk of it. Either way you slice it, it was a great excuse for him to get out of the office and find some new creative energy.